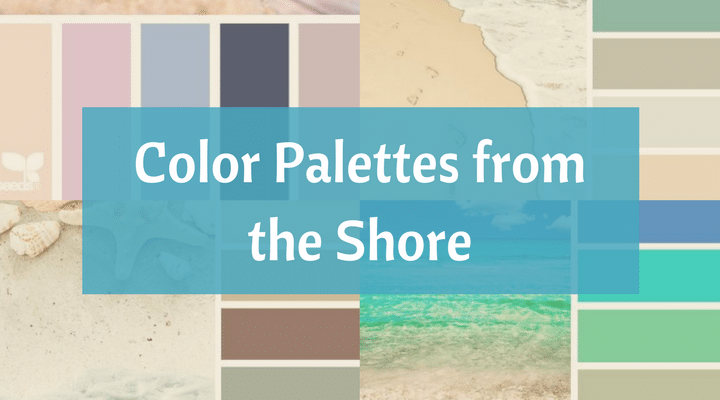 Create beach bliss in your home with a color palette from the shore. Ideas and combinations seem unlimited. Depending on time of day and season, colors present themselves differently. Look around the next time you’re at the beach, snap some pictures or collect shells, driftwood, pebbles or anything else that catches your eyes. 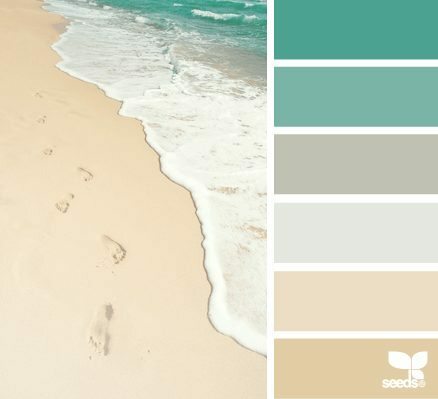 A beach color palette is always perfect! 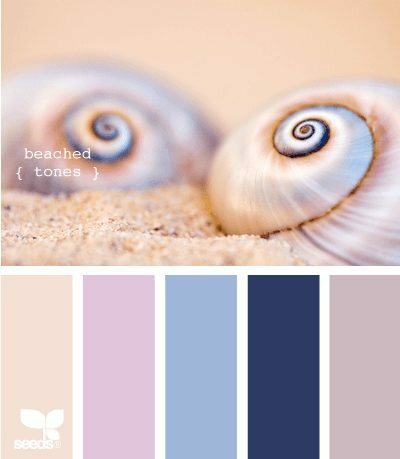 Just look at these beautiful color palettes from the shore by Design Seeds. 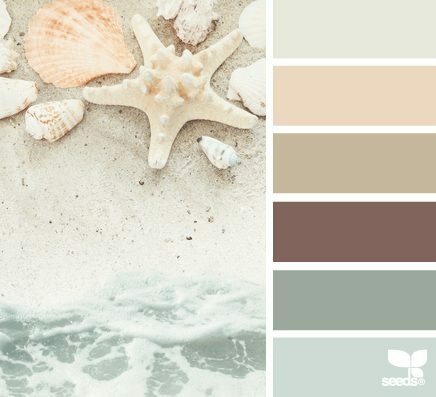 To enjoy many more color palettes from the shore, head over to Design Seeds. Beginning in art school and throughout her design career, Jessica has created color palettes while collecting inspiration in journals. Design Seeds are a modern interpretation of these original color journals. Note that the color swatches created for Design Seeds do not directly correspond with a paint brand or color specifier system, so these colors do not have names. 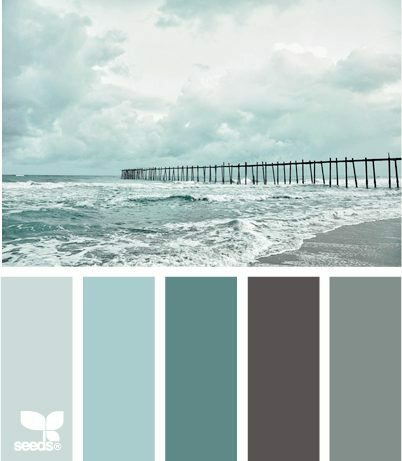 For more color ideas (that go beyond nature and include beach chairs and your pet’s toys), go read my article on Completely Coastal about Color Schemes from the Shore.